Workplace fatigue is an often neglected problems in the business world. It is not only present in lines of work which require physical exertion – you can also find it in workplaces which require a lot of sitting and constant looking into computer monitors. 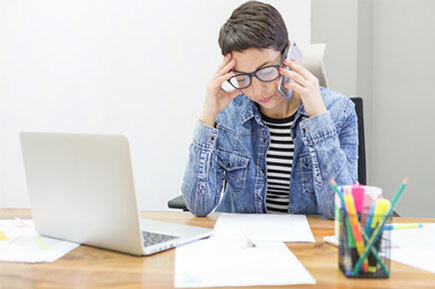 Aside from the fact that it can have negative effects on workers’ lives in general, workplace fatigue can also be detrimental to businesses, since it lowers productivity and morale, which in turn can significantly affect a company’s finances. It is essential for a company to employ effective strategies to fight fatigue, which, contrary to what many may think, is not simply a state in which an employee feels tired. The complex feeling of physical, mental and emotional exhaustion needs to be tackled systematically. In the next couple of paragraphs, you will be able to read some common strategies for fighting workplace fatigue. Applying some of them in your company will positively affect productivity, even if you don’t have a full blown problem with fatigue just yet. The good news is that there are actually several ways to combat workplace fatigue and by combat that does not mean super-sized effort. In fact, let’s forget the word combat because it sounds like too much work. Let’s call them the lazy ways of fighting workplace fatigue. It means that you can take things easy and still get results. Physical exercise is proven to be extremely useful in combating many mental and mood disorders, so it should not be surprising that it is among the most useful tools in treatment of workplace fatigue. Although it may be counterintuitive to attempt to fight tiredness by making people more tired, we must remember that the real cause of workplace fatigue is rarely physical exertion. The best thing about physical exercise in the service of improving workplace productivity is that it doesn’t have to take a lot of time. As a matter of fact, 15 minute exercise sessions are considered to be most effective. Naturally, an employer shouldn’t force people to exercise. Decision to start with this activity needs to be the employee’s own. There are, however some things that can be done to encourage workers and inspire them to exercise. The people at Autodesk’s Pier 9 facility, located in San Francisco came up with one of the craziest ideas so far. They created a work desk that allows an employee to work while walking or even running. It’s kind of like a hamster wheel when you look at it, so some might not be so thrilled with the idea, but it does the job of allowing an employee to exercise while working. When people get tired, the top solution is for the employee to take a break. A workplace should be designed in such a way that workers find it easy to relax and really get a rest during their breaks. There should be a pantry where they can eat and drink while taking their break. If employees work through the night, they should have areas where they can take a nap if they are feeling too sleepy to work. By taking regular and proper breaks, fatigue in the workplace can be prevented. The workplace isn’t a labour camp and hardworking employees deserve a comfortable place to rest. 4. Stand Up For Your Work! Standing up is not going to ensure that workers are going to be free from fatigue. They also need to maintain proper posture while standing and they should keep on moving. There are also products that employees can use when they are standing while working. 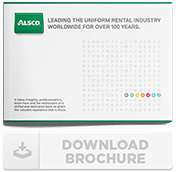 Alsco has anti-fatigue floor mats that can be rented. Not being hydrated enough is often the undetectable reason why people tend to feel fatigued in the workplace. Hectic work hours tend to make us forget we haven’t had any water that day. Dehydration is also one of the most frequent causes of headaches. Installing a drinking fountain in an easily accessible and obvious location can do a lot to eliminate this fatigue factor. You can also give employees customized drinking mugs or bottles so they can still get their drinks even if they do not have to go to the fountain all the time. If they drink plenty of water, they would have to the bathroom more often and if you took our tip about relocating the bathroom in another building altogether, you can make them exercise. You’re hitting two birds with a single stone! Of course, we’re just kidding again there. This was a short list of the most practical solutions to the problem of work fatigue. Completely eliminating fatigue from the workplace would require addressing each of the employee’s problems directly. Applying these techniques to your business should show some results. Alsco offers a range of products which help you in your quest to create a positive change which should hopefully be enough to render this issue much less relevant.